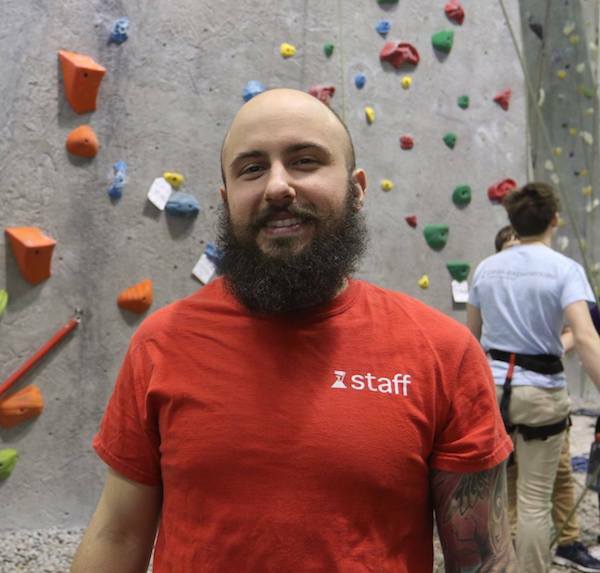 Beginning this Sunday 9/16 and continuing Sundays through the fall, Peak Manager and fluent Spanish speaker Tristian Sardelis will be teaching our Learn the Ropes Belay class in Spanish. The first class will start at 4pm and he will continue running classes on the hour until the gym closes at 9pm. Learn more about the Learn the Ropes class on our PeakRVA Instruction page. We are offering our Level 3 class Whipper Therapy again starting April 4th! Lead falls are scary! This class will help you confront these concerns from both the climbing and belaying side of things. Through practice, we help you work on good technique for falling and giving your climber a nice, soft catch. For more information about all climbing classes please visit peakexperiences.com/classes. This class is only around for a limited time so sign-up today! Spring is fast approaching which means it time to get back outside! Cracks are a very common feature in most outdoor crags and require a unique approach to conquer. This class will give you a new set a skills to apply to your next outdoor climbing adventure. This class is only around for a limited time so sign up today! Learn more about all our climbing classes at peakexperiences.com/classes. Bouldering is one of the best ways to improve your climbing! Whether you are focused on pushing a new grade, become more comfortable with a certain type of terrain, or just looking to mix things up, Bouldering has something to offer you. Bouldering helps you improve your technique, build strength and power, and practice your coordination. This clinic seeks to help you make the most of your time in the cave. Level 3 classes are kicking off with Whipper Therapy! Back by popular demand, this class works to improve your comfort with falling and catching falls while Lead climbing. Whether you are new to Leading or just trying to regain your head after some time off, this class is perfect for squashing those butterflies! January Fitness Classes - New Year, New You! Peak Experiences offers a wide range of fitness classes to supplement your climbing. Fitness Classes are FREE for members and $5.00 for guests. You can learn more at peakexperiences.com/yoga-and-fitness. Updated Classes this month include Yoga on Mondays and Fridays, and Cross-Training for Climbers on Wednesdays. SPECIAL - Foam Rolling Demo by Airrosti on Wednesday, January 31st 7:30-8:30pm - FREE for all!